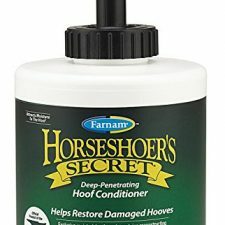 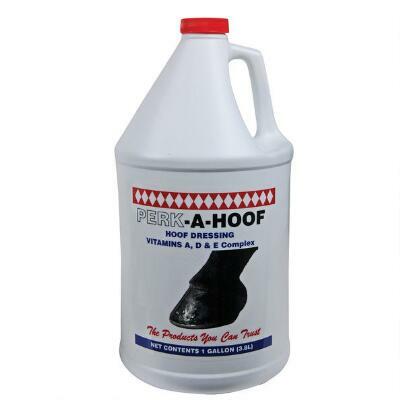 Perk-A-Hoof is a unique hoof dressing that combines fish oil, pine tar, wheat germ oil, turpentine, aloe vera, iodine plus vitamins A, D, and E to promote healthy hoof growth. 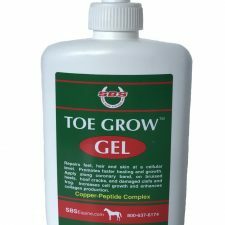 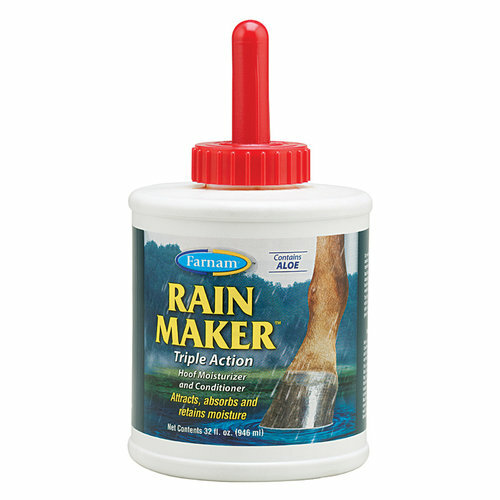 These nutrients work together through deep penetrating action to help retain hoof moisture and elasticity, thus preventing any drying and cracking of the hoof wall. 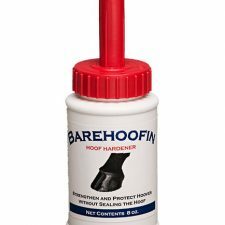 Perk-A-Hoof is most effective when applied to the coronet and the frog.